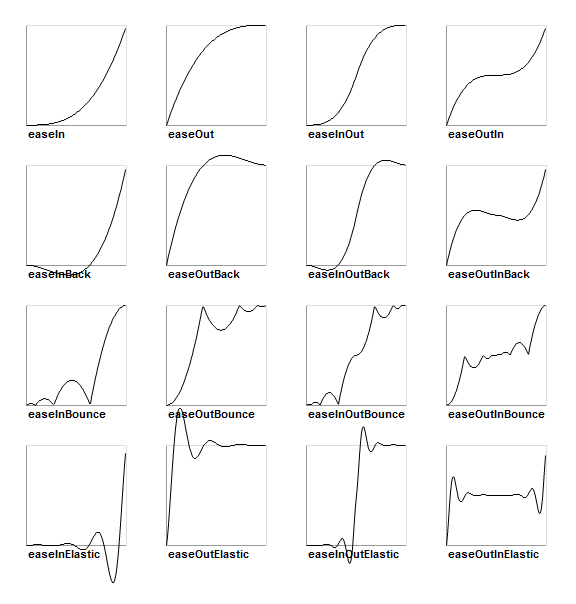 The SPTransitions class contains static methods that define easing functions. Those functions will be used by SPTween to execute animations. You can define your own transitions by extending this class. The name of the method you declare acts as the key that is used to identify the transition when you create the tween.